Do you ever make your own vegetable broth? 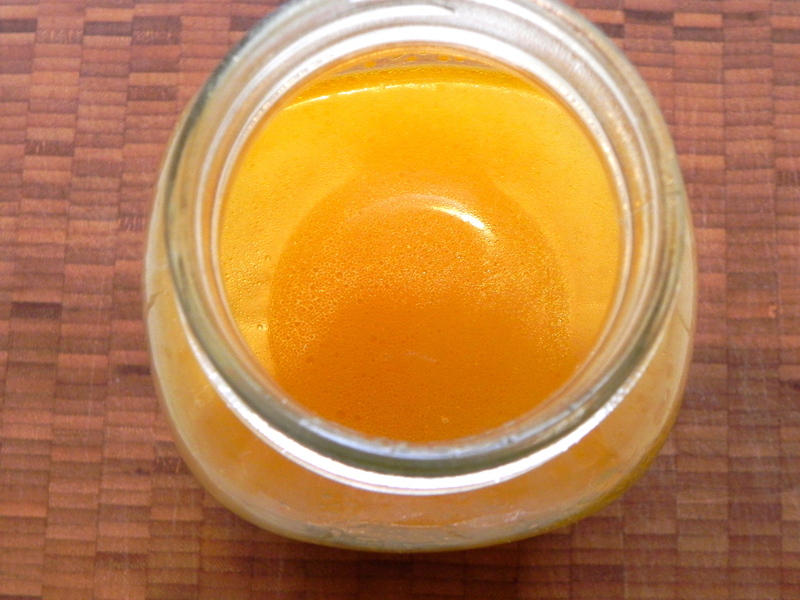 It’s so easy; it takes only a few minutes of hands-on time and means your soup or stew or what have you won’t have odd things like carrot powder or pear juice concentrate. Do you want carrot powder in that minestrone? Pear juice concentrate in your black bean chili? I doubt it. Don’t think I don’t use store-bought broth; I do. But this is so much better (and cheaper!) that I hate to buy those supermarket boxes. Sometimes I make a double batch (or more) and pour 4-cup portions into freezer bags and freeze them (I know, freeze them in freezer bags! And I just put those words here again). The trouble with this is you have to think ahead about when you’ll need the broth and leave it out to defrost, whereas a carton is ready to go when you are. Because the vegetables are being cooked to death for flavour, you don’t have to be very careful about chopping them for good looks, so that step goes quickly. 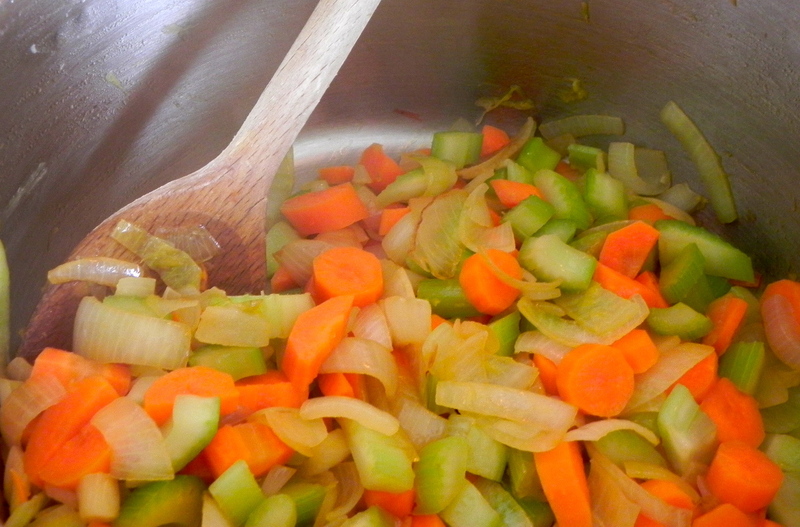 Then you add water and leave the whole thing alone, to simmer on the stove, while you get on with your day. Roughly chop the onion (1 large or 2 small) into large pieces; cook it in a little olive oil with a pinch of salt until it starts to brown. Add 2 -3 roughly chopped carrots and 2 roughly chopped stalks of celery. Cook them a few minutes so they start to soften. Then add 1 chopped tomato, around 10 peppercorns (better yet, give them a single bash so they are still very coarse but broken) and 6 cups of water. Cover, but leave the lid open a little, and simmer for 1½ hours. Strain the broth through a (fine) sieve and press out all the liquid. This keeps for a few days (3-4) in the fridge, or freeze it for longer (a couple months, I’d say). This looks so flavorful and satisfying. I always like to eat the strained veggies in a bowl with a chunk of crusty bread and butter.